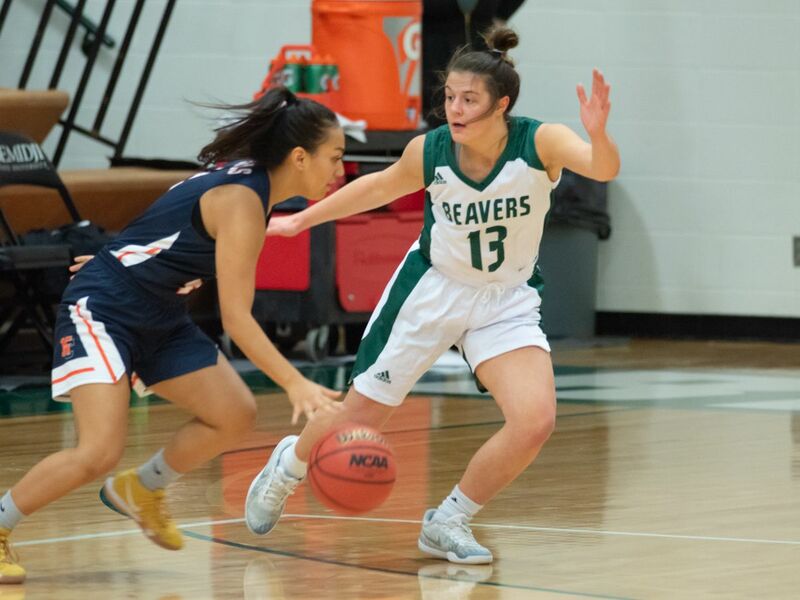 Bemidji State University women’s basketball welcomes University of Minnesota Crookston to BSU Gymnasium Saturday, Dec. 1 for the first game of the Northern Sun Intercollegiate Conference schedule. The Beavers and Golden Eagles tip-off in the first of two season meetings at 2 p.m.
Bemidji State leads the all-time series against Minnesota Crookston, 22-20. UMC has won five of the last six meetings, while BSU took a win during last season’s series Dec. 16, 2017 in Bemidji, Minn., 76-64. The Golden Eagles won the most recent meeting, 73-48, Jan. 16, 2018 in Crookston, Minn.
Sophomore guard Brooklyn Bachmann averaged 16.0 points per game on 48.1 percent shooting from the field in two games last season versus UMC. She also led the team with 6.0 rebounds per game against the Golden Eagles. The series began Jan. 6, 1996, a 101-56 win by Bemidji State. BSU opened its non-conference season 2-0 before suffering back-to-back losses heading into Saturday’s game. Most recently, Bemidji State fell at home Monday, Nov. 26, 58-50, to University of Wisconsin-Superior. Bemidji State was not able to find its rhythm shooting throughout the night, finishing the game 32.2 percent from the field and 11.8 percent from 3-point range. Despite its shooting woes from the floor, BSU went 10-of-11 from the free throw line. Bachmann scored 17 first-half points versus the Yellowjackets during her first start of the season. She finished with a team-high 19 points and five rebounds while chipping in three steals and two assists. Sophomore forward Gabby Dubois was the only other Beaver to score in double figures at 10 points while also bringing in five rebounds. On the season, sophomore guard Maria Appicelli leads the program with 16.5 points per game after totaling two 20-point games through the non-conference schedule. Prior to this season, Appicelli had not scored more than eight points in a single game. She ranks sixth in the NSIC in scoring average and is shooting 39.6 percent from the field and 33.3 percent from beyond the arc.